As several people guessed, the mystery seeds from last week were indeed lentils, Lens culinaris. Isn't it amazing how different the seeds of the different varieties and subspecies can be? 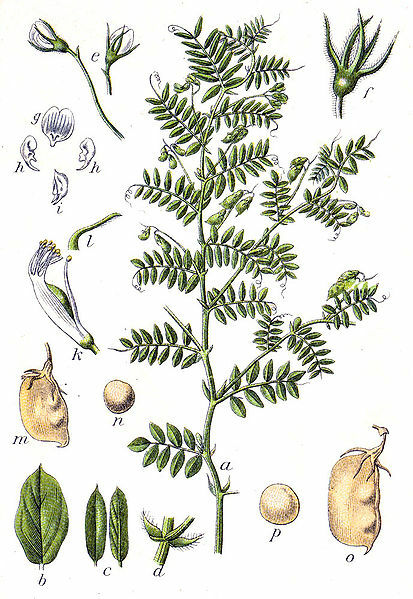 I don't have any photographs of plants from my own garden this week, but I did find this old botanical illustration of the different stages of a lentil plant. It is from Deutschlands Flora in Abbildungen at Wikimedia. 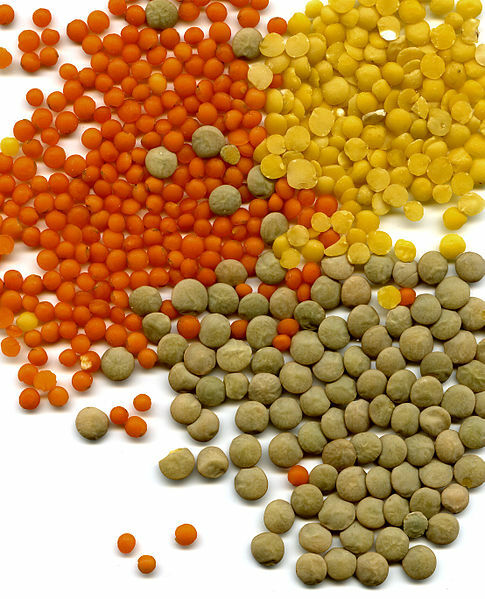 Lentils are originally from Asia, but are grown throughout the world. According to this fact sheet about lentils, in general the plants grow best at temperatures around 24° C or 75° F, and temperatures above 27° C (80 °F) can be detrimental to growth. Lentils can be used in a number of dishes, from soups and stew to vegetarian "burgers." Try this recipe for lentils with a Southwestern flare. What is your favorite recipe for lentils? Have you ever grown your own? Our family loves Creamy Lentil Soup or Lentil Tacos. YUM! Lentil tacos? Now that I'll have to try.